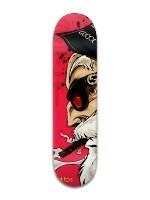 Free Skateboard - Win Your Own Custom Deck Every 1st Friday!  Win a Custom Designed Skateboard Deck from Whatever Skateboards, With YOUR Design On It! 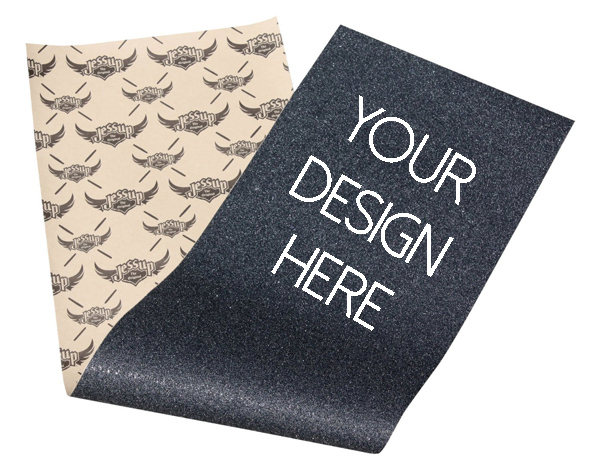 You read that right – we are giving away a free custom skateboard deck with your own custom design on it! Take a couple minutes to share our photo and enter our #WhateverFreeDeck Giveaway and you could get a sweet new summer skateboard! 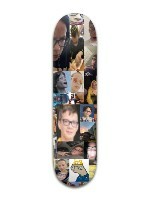 The winner will be able to design their own custom deck with their own photos, images, and text. You can ride it, give it to a friend, or hang it on your wall! There is no cost for you to enter – simply follow the steps below to be entered. A winner will be selected at MINIMUM EVERY MONTH at random by the Whatever Skateboards team. If you’ve entered before, enter again every month to secure your entries each drawing! 2. Go to our Giveaway Entry page and enter with your email address! NO PURCHASE NECESSARY TO ENTER OR WIN. 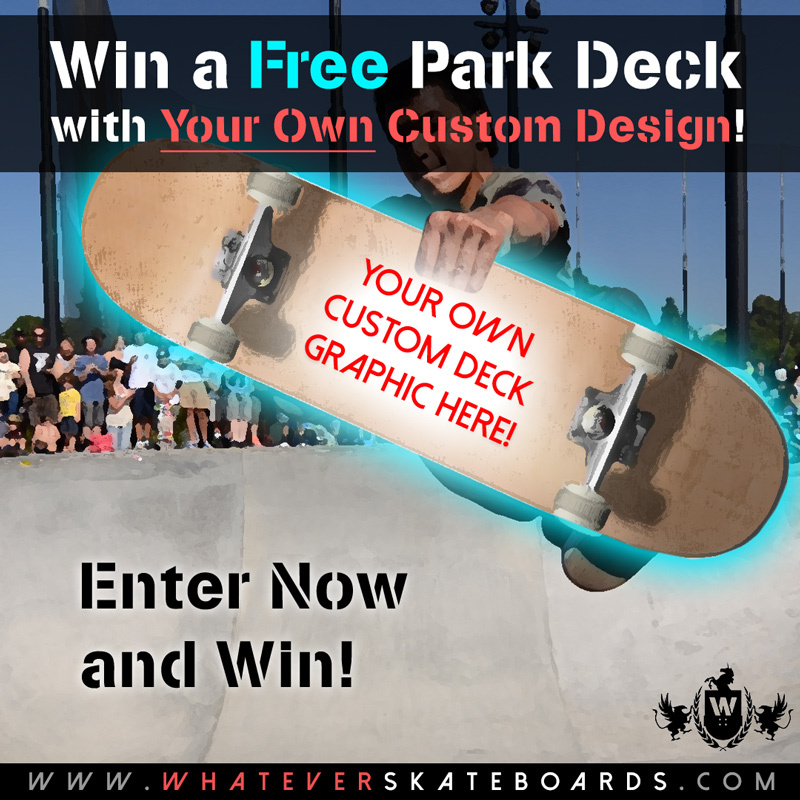 The “#WhateverFreeDeck Giveaway” is open to legal residents of the 48 contiguous United States and the District of Columbia, age 13 and older at the time of entry. 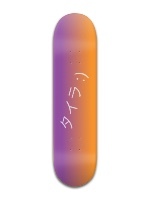 Prize is a custom designed Park skateboard deck from Whatever Skateboards, valued normally at $63.99 MSRP plus $17.99 shipping & handling and the applicable tax (if any). Winner will be notified through social media on a private message and may or may not be publicly announced on our own website or instagram page. Contest is subject to Giveaway Terms and Conditions. This contest is repeated every month and we will choose a winner every month from the entries from that month only, so make sure to re-enter again each month for more chances to win!